A stunning silver plated necklace with a choice of either a star or heart pendant that is either silver plated or rose gold plated. 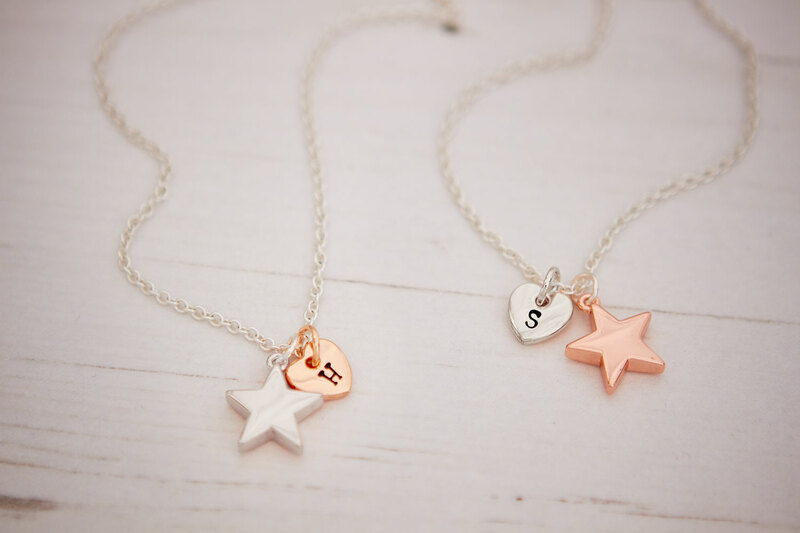 This necklace can then be personalised with mini letter charms – sold separately. 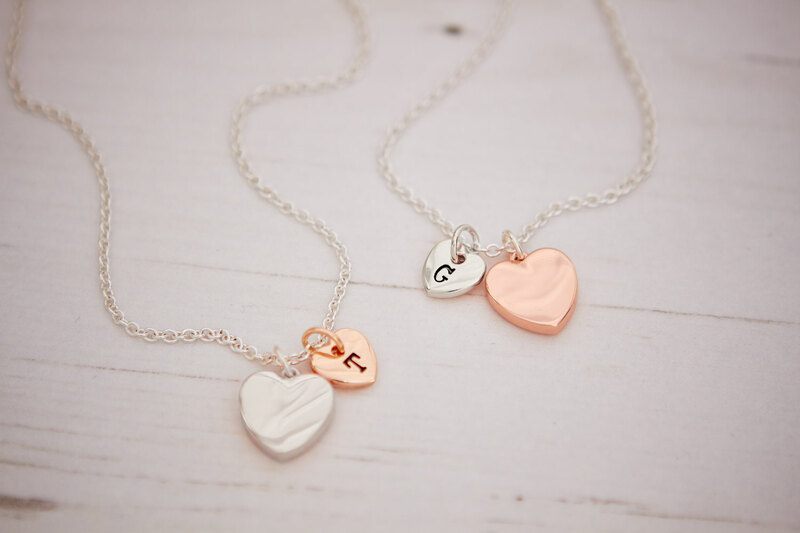 Our delicate silver plated necklaces are a popular personalised gift. First select your pendant: You can choose between the shape of a heart or star and then which plating you prefer, silver plated or rose gold plated. 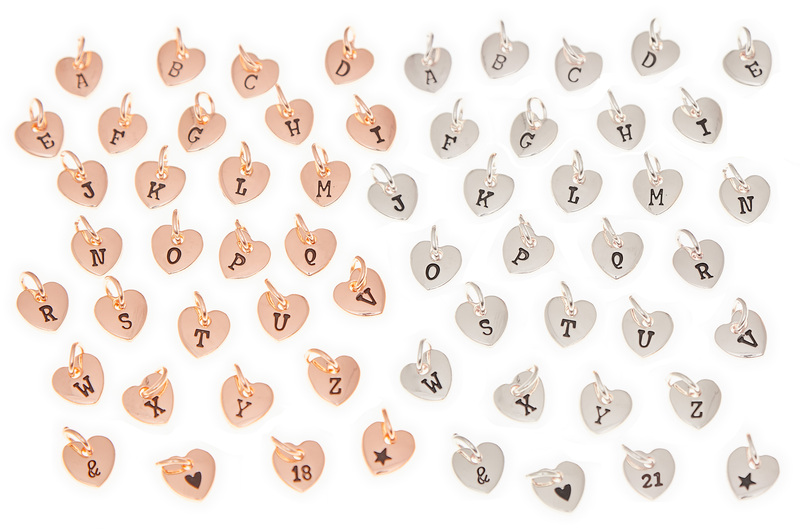 Then purchase your letter charms to add to your jewellery piece. 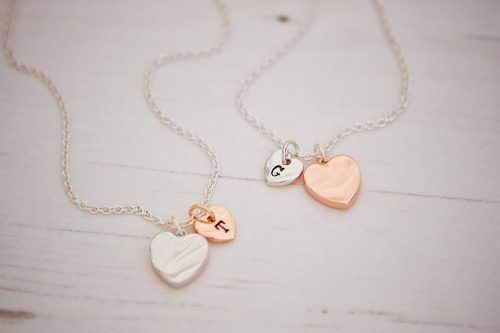 These necklaces make a unique present that could represent your childrens names, a loved one, special friend or indeed a milestone birthday! 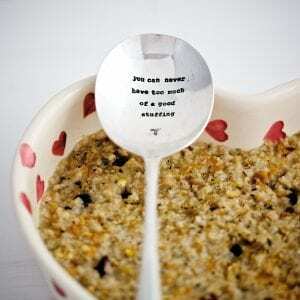 Please note that the personalised charms are sold separately and incur an extra charge. Select as many or as few as desired. 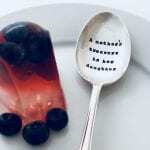 Each necklace shall be tissue wrapped and will arrive with a flat packed complimentary gift envelope. 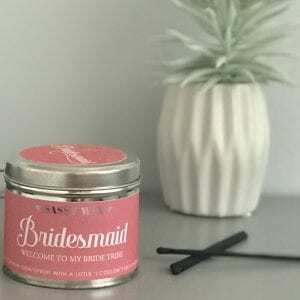 If you have purchased the letter charms these can easily be added to the necklace by threading through the extension chain.